Ein gutes Jahr is an ideal book for todders and young children. This is a basic board-book that takes toddlers through spring, summer, autumn and winter. Winnie and Willy the mice-twins have a friend Rudi, the tree. Throughout the year, from one month to the next, Rudi is always changing - from deep green, to suddenly bare and then covered with snow. At the end of the year they celebrate Christmas together! 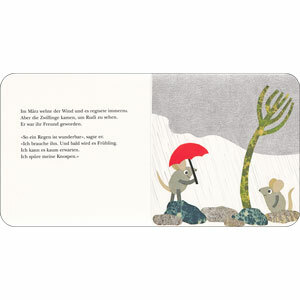 This is a good story for teaching children about the months and the seasons in German. 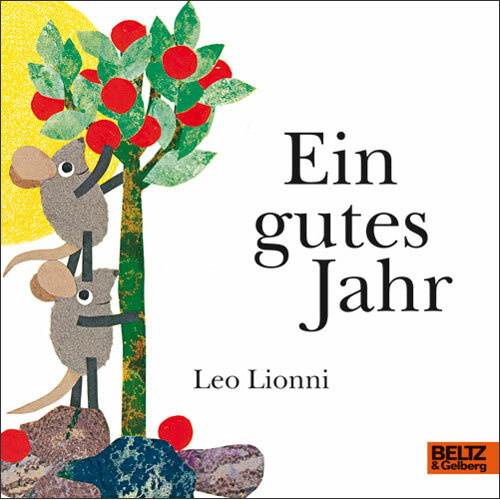 Ein gutes Jahr is intended for native German speakers and is written entirely in German. Readers would need a reasonable level of German to be able to read and understand this.